Ben learns why Riley doesn’t like celebrating her birthday and it’s all his fault. He knows he needs to make it up to her and plans a perfect birthday surprise, but in typical Wheeler fashion, disaster ensues. Bonnie realizes she may have made a mistake in filing Emma’s parental rights paperwork and Ben doesn’t officially have sole custody. Bonnie enlists Tucker’s help in tracking down Emma’s mother, Angela, to re-sign the papers. Meanwhile, Amy calls Danny on his lingering feelings for Riley. Bonnie is tired of not being appreciated for everything she does for the boys and Emma and decides to go on strike. When it's quickly obvious they can't survive without her, Ben realizes the best way back into his mom's good graces is to take her to the Bon Jovi concert. But when Tucker unknowingly buys fake tickets, Bonnie must get through time in Bon Jovi jail, a tough security guard and a little dilemma in the green room if she hopes to meet her idol. Meanwhile, Riley and Danny return to their high school to chaperone prom and run into Vice Principal Peters, who's still inappropriately enamored with Danny. A lovesick Bonnie realizes how much she misses her ex-boyfriend Brad and turns to Tucker for help reuniting with her true love. But when Brad confesses that he still has feelings for Bonnie, Ben's well-intentioned but misguided advice leads Brad to make a rash decision. Riley wants to have the relationship with Margot she never had with her adoptive mom, but first Riley must learn to appreciate Margot for who she is, flaws and all. Meanwhile, Danny must stop Riley from taking the next step with Philip. Bonnie is livid when her former New Jersey neighborhood resurrects the Block Party Olympics that she created and declares war. Seeking vengeance like only Bonnie can, she drafts everyone to crash the gathering, win all the events and put an end to the party once and for all. While visiting the Wheelers' old tree house, Riley and Ben are surprised when they find Danny's childhood expression of love. Meanwhile, Danny learns Georgie is moving to Paris and realizes this could be the perfect opportunity to put some distance between himself and Riley. But given her recent discovery, what will Riley do when she learns Danny might be leaving? Is it too late for Riley and Danny to start a romantic relationship, or does her heart still belong to Ben? Now that Riley knows the truth about Margot, she decides to find her biological father and uses her parents' high school yearbook as a guide. With a little help from Ben, Riley narrows down the possible candidates to David, the easygoing pastry chef, and Mark, the high-powered attorney. But despite some initial deception and old teenage rivalries resurfacing, Riley finally learns her father's identity. Meanwhile, Tucker is not happy about his parents' divorce and realizes the source of their problems is that Marshall is too uptight. But when Danny asks his mom to help Mr. Dobbs loosen up, Bonnie takes the challenge to a whole new level. 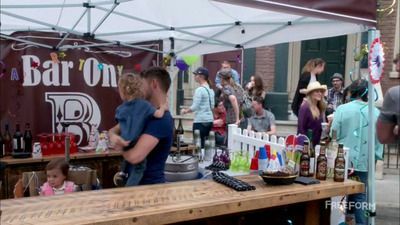 Ben forgets Emma's birthday and attempts to combine her birthday party with a beer stand at the neighborhood street fair, but doing both at the same time proves rather difficult. Danny and Riley come to a crossroads when they are both offered new career opportunities. Bonnie and Brad must decide how to move forward once Brad returns home from his spiritual quest with a new outlook on life. Tucker cannot seem to get anyone's attention as he processes through some exciting news of his own. #7 - Lights! Camera! No Action! Ben catches Riley in a compromising position with her ex-boyfriend Fitch, which leads to a massive blow-out between the two. Danny worries that the combination of his low stats and his Rangers jersey not selling in stores means his future with the team is in jeopardy. Tucker gets a job assisting Mary Hart on her new talk show, "The Mary Hart Show," and sets his sights on becoming a producer. Bonnie convinces Tucker to have Danny as a guest on the show to increase his popularity, but when Mary digs a little too deep into Danny's personal life, he has an emotional meltdown. Riley is confined to the couch with the baby due any second while Tucker tries to help Danny decide what to buy her as a "push gift." Ben begins to feel like an insufficient parent when Emma's upcoming mother-daughter talent show leads Emma to ask questions about why she doesn't have a mother. After Riley confides in Danny and not Ben about her bar exam troubles, Ben learns that Riley has tried to take the exam three times and still hasn't passed. To support her, Ben convinces her to not give up on her dreams of becoming a lawyer. Bonnie finds out that Amy has taken a pregnancy test and is challenged to keep it a secret while Danny attempts to win over Amy's father. Danny and Tucker are looking forward to attending the biggest Halloween celebration in the city, despite the fact that Bonnie thinks they should take Emma trick-or-treating instead. When their plans fall through, they decide to crash the party Riley was talking about, not knowing it's actually a bachelorette party. But when the guys are mistaken for the strippers, Ben makes a big mistake that results in them being carted off to jail. Meanwhile, Bonnie's date with Javier goes horribly wrong and she lands in jail alongside Ben, Danny and Tucker. Will Riley be able to work her lawyer magic and bail her friends out of this mess, or will everyone get what they deserve? Ben is determined to give Emma the perfect first birthday party, especially since his own was less than stellar. When he decides to host it at the ice cream parlor where he and Riley worked as teenagers, Ben runs into an ex-girlfriend with a mother of a secret. 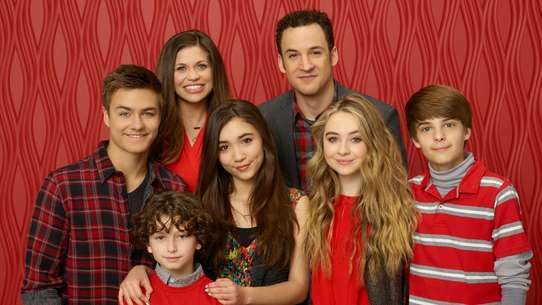 Danny accidentally discovers something about Riley's family that turns her world upside down. Meanwhile, Tucker is in charge of entertainment for the birthday party, a responsibility he takes very seriously. Ben is less than thrilled when Riley asks him to hang out with her new boyfriend, Philip, but he reluctantly agrees once Riley plays the friendship card. However, the man-date goes horribly wrong when Ben's harmless flirting with a student puts Philip's job at the college - and his visa - in jeopardy. Danny's hockey playing is criticized by a sports reporter, Logan, but that doesn't stop him from hitting on her, prompting a horrified Bonnie to embrace her inner enforcer and take matters into her own hands. Meanwhile, Tucker discovers the power of the British accent. Angela has been crashing in the boys’ apartment, trying to spend more time with Emma and get closer to Ben. Her presence puts strain on Ben and Riley’s relationship, but Ben doesn’t have the heart - or the guts - to ask her to leave. 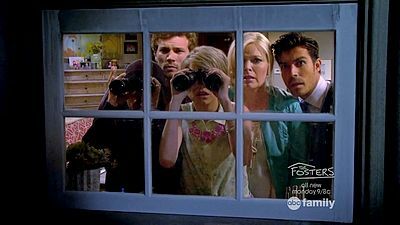 Tucker plots to show Riley that Angela is trying to steal her man and Danny decides that the only way he can heal his broken heart is to get his own apartment. Meanwhile, Bonnie begins dating a younger man. Ben and Danny shop at the last minute to buy Emma the perfect toy, which leads to them making a deal with Edwin, a shady mall elf. Riley and Tucker are appointed Bonnie's "little helpers", to help pull off the perfect Christmas for the apartment. Ben finds the cell phone of a cute girl, Sydney, but when he‘s unintentionally late for their first meeting, he convinces Tucker to go in his place and take the blame. But when Sydney takes a liking to the real Tucker and asks him out, Ben is determined to prove she’s interested in the wrong guy. Riley meets up with an old frenemy, Heather, and enlists Danny in her plan to prove to Heather once and for all that she’s a winner. Meanwhile, Bonnie asks for Tucker’s help in coming up with a catchy new slogan for her realty business, but things quickly go awry when she starts getting offers from guys interested in buying more than a home. Danny plays matchmaker for Riley and his new teammate, who secretly likes Bonnie. 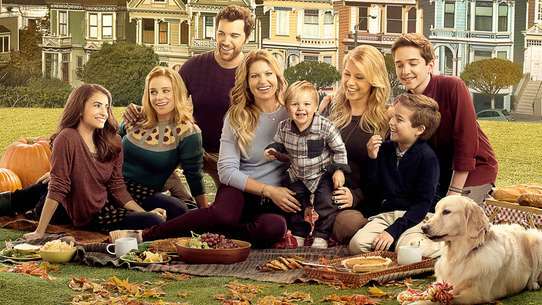 Elsewhere, Tucker gets back together with an ex-girlfriend who doesn’t get along with Ben, and she winds up making Ben’s work life miserable. When Ben receives an anonymous note from a past love interest asking for a second chance, he does whatever he can to find the mystery girl. Danny misunderstands a note he thought was left for him and tries to get Riley back. 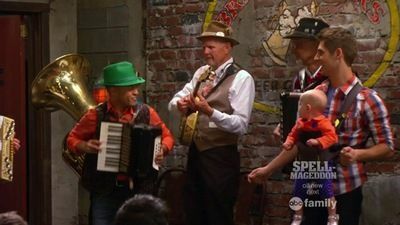 Tucker, Riley and Bonnie enter Emma into a baby beauty pageant to get footage for Tucker's news segment, but Riley goes too far. Bonnie sets Ben up with Bailey, a fast-talking, animated spitfire with plenty of attitude. Everything seems to be going well until Ben realizes his new girlfriend is a mini version of his mother and he has to break up with her. However, Bailey refuses to be dismissed so easily, and Ben resorts to desperate measures to get her out of his life once and for all. Meanwhile, Danny pulls his dad's beloved car out of storage, but it's a bumpy start for "Adele the Chevelle" once Tucker and Riley get a hold of the keys. Riley plans to attend her family reunion in Orlando, but since she hates to fly, she decides to take the train instead. Ben realizes this trip is the perfect opportunity to rekindle their romance and volunteers to tag along. However, when Riley thinks he’s only after one thing, Ben manages to convince her that his feelings are genuine. Can she bring herself to trust him with her heart once again? 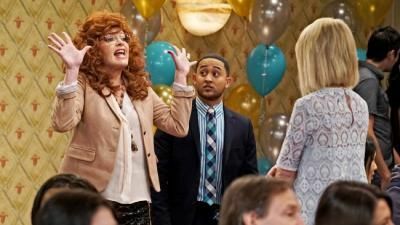 Meanwhile, Tucker has the chance to be Mary Hart’s co-host and asks Bonnie for help with his audition tape. But when Mary decides to give Bonnie the job instead, Tucker is forced to play dirty in order to eliminate the competition. 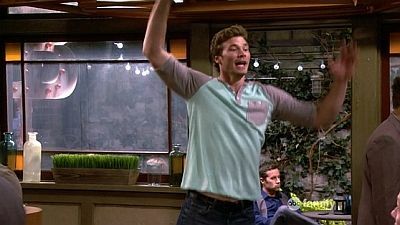 Riley bets Ben that he can't get a second date with Heather. He gladly accepts the challenge, but when Heather doesn't jump at the chance to go out with him again, Ben resorts to desperate measures. Bonnie decides to break up with Brad, but when her realtor boyfriend declares his love, she can't bring herself to go through with it and asks Danny to end the relationship instead. Further complicating things as only Bonnie can, her love life takes another twist when she unknowingly falls for Brad's. Meanwhile, Tucker uses Emma to pick up women. Riley faints after Danny asks her to marry him; and when she wakes up, she has no memory of his proposal. Trying to move on from Riley, Ben decides to find "his Riley" and immediately hits it off with new neighbor Zoey. 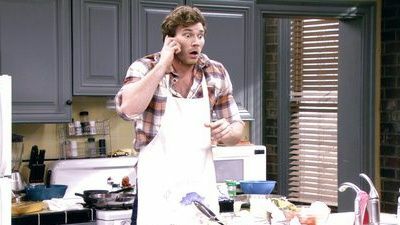 However, Ben is shocked when their first date reveals he and Zoey have more in common than he thought. Bonnie is determined to finally marry Brad after many aborted attempts, and believing Ben and Danny are to blame, enlists Tucker to help her tie the knot without her sons' knowledge. Ben tries to get Emma into daycare by flirting with the cute assistant manager, Megan. Megan insists there is no space, until she gets the idea that Ben and Tucker are a gay couple. Ben devises an elaborate plan to "break up" with Tucker in order to have a shot at dating Megan. Meanwhile, Riley worries that Dr. Shaw is trying to change Danny when Danny bails on their traditional "Halfaween" costume party. Ben, Danny and Tucker band together to rescue Emma's missing stuffed animal. Meanwhile, Riley hosts a book club in an effort to make friends with the cool girls at work. When her mom, Jennifer, and Bonnie get wind of her plans, they invite themselves. Much to Riley's dismay, the ladies' long-standing rivalry erupts during the club meeting. Tucker still hasn't told his dad that he's not a lawyer, which proves to be a problem when Marshall Dobbs unexpectedly arrives for a visit. Tucker and Ben devise a plan to keep the charade going, but it eventually backfires when Marshall learns the truth. Riley falls for a handsome Brit she meets at the bar and tells Bonnie that she finally found "the one"; however, Bonnie mistakenly believes that Riley is talking about Danny and immediately encourages him to go after his true love. Meanwhile, the group's trip to the renaissance faire hits a snag when a sword fight breaks out in the subway. Riley gives Ben and Danny the time capsules they all made in the fifth grade, forcing everyone to reflect on where they are in their lives and what they really want. Although Bonnie advises Riley to figure out who she is today, she is not happy when Riley and Tucker crash her dance classes with Vladimir. Ben realizes that he’s never actually accomplished anything and decides to finish at least one thing he started, so he asks Georgie out on a date. However, she is more interested in Danny, which prompts Ben to reach out to his brother’s ex-girlfriend Amy in the hopes of sparking a romantic reunion.